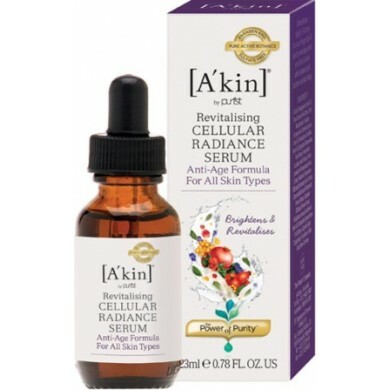 A'kin Revitalising Cellular Radiance Serum is a powerful anti-aging and brightening product that fights the visible signs of aging and improves skin tone. 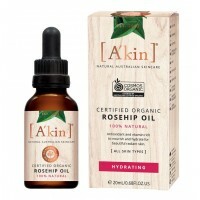 Formulated with 6 pure certified organic extracts - rosehip, amaranth, calendula, pomegranate, sea buckthorn and chamomile that are rich in omega 3, 6 and 9, provitamin A and vitamin E; this face serum boosts skin firmness, elasticity and radiance. 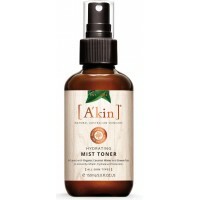 Your skin will be well nourished, smooth and youthful-looking. For all skin types. How to use: Apply 3-4 drops on your fingertips and gently massage onto your face and neck after cleansing and before moisturising. Ingredients echium plantagineum seed oil, rosa canina (rosehip) seed extract, ethyl macadamiate, squalane, simmondsia chinensis (jojoba) seed oil, macadamia ternifolia seed oil, hippophae rhamnoides fruit extract, amaranthus caudatus seed extract, punica granatum (pomegranate) seed extract, bisabolol, rosmarinus officinalis (rosemary) leaf extract, chamomilla recutita (matricaria) flower extract, calendula officinalis flower extract, helianthus annuus (sunflower) seed oil, schizandra sphenanthera fruit extract, caprylic/capric triglyceride, tocopherol, malic acid, beta-carotene. 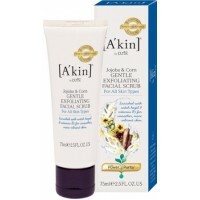 A'kin Gentle Exfoliating Facial Scrub gently refines skin texture by using jojoba and corn beads to ..
A'kin Pure Radiance Certified Rosehip Oil is an award winning Rosehip Oil that bursts with anti-oxid.. 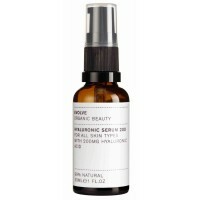 Evolve Organic Beauty Hyaluronic Serum 200 is a pure clear serum that hydrates skin from within and ..
A'kin Hydrating Mist Toner is infused with Organic Coconut Water and Green Tea to instantly refresh,..